Happy Chinese New Year everyone! 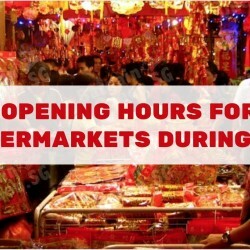 If you want to do last minute grocery shopping during CNY period, here's Cold Storage's operating hours. 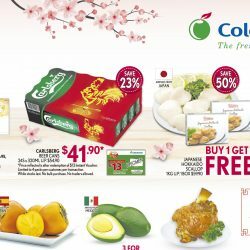 25 - 26 Jan 2017 Cold Storage: 2-Day Sale – Buy 1 Get 1 FREE Hokkaido Scallop & Other Deals on New Moon New Zealand Abalones, Carlsberg & More! 3 more days to CNY! Check out Cold Storage's 2-Day sale with up to 50% off on Japanese Hokkaido Scallops (Buy 1 Get 1 FREE Box), New Moon New Zealand Abalone, Carlsberg Beer Cans, large red cherries, frozen Shabu Shabu pork belly/pork collar/lamb/beef, Hokkaido A4 Grade Wagyu Shabu Shabu and more! 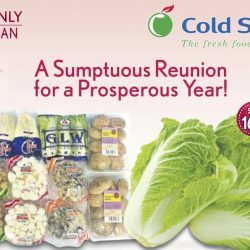 If you are preparing for your CNY reunion dinner, check out Cold Storage's 4-Day sale on steamboat ingredients such as scallops, tiger prawns, sea cucumbers, cuttlefish/prawn balls, wontons and more! As stated at each ad Abalone Promotions at NTUC FairPrice, Giant, Cold Storage, Cheers & More! 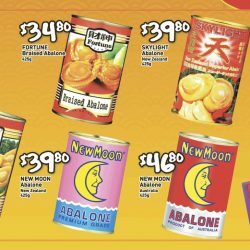 If you are looking to purchase abalones for the Chinese New Year celebrations, we have scouted out the latest supermarket promotions for you! Compare prices and also the supermarket member benefits if you are one, to get the best deal! 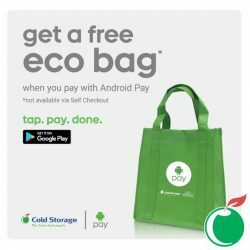 Pay with Android Pay from 16 September at any Cold Storage Store & get a FREE Eco bag. Order your groceries online at Cold Storage! 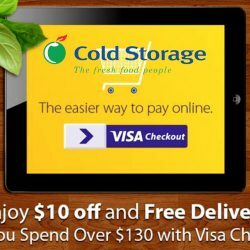 With VISA checkout, shopping at Cold Storage is now easier than ever before. Simply spend $130 and enjoy $10 off your purchase and free delivery to your doorstep! Planning to go organic? 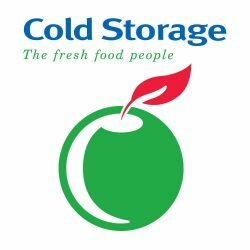 Cold Storage is here to lend you a helping hand! 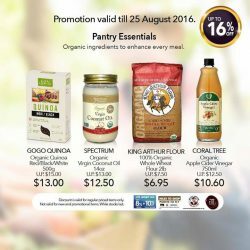 From now till the 25th of August, enjoy up to 16% off selected organic products from your breakfast must-haves to everyday pantry essentials. What are you waiting for? Kick start your diet today. Beat the Monday Blues Mums and Dads, We got something just for You. 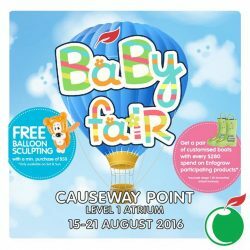 Don’t miss out our baby fair happening at Causeway Point from 15 – 21 August. Fancy tasting the delicious food wonders from all over the world here in Singapore? 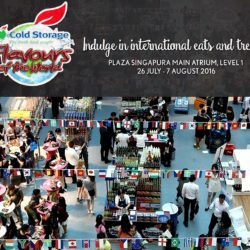 Plaza Singapura presents to you: Cold Storage Flavours of the World! With a wide selection of spirits, snacks and food from countries such as Korea, Japan, the United Kingdom, France, USA and more, you’ll be able to taste the world in the two week-long event held at Plaza Singapura’s Main Atrium at Level 1 from 26th July to 7th August! Try Hokkaido Lavender Ice Cream, fresh oysters and more! Also enjoy Buy 1 Get 1 FREE Kronenbourg Beer, Buy 2 cartons of Tiger Beer (10 cans per pack) at $39.95 while stocks last! 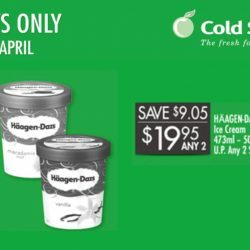 Twice the savings with double $1 deals this week! 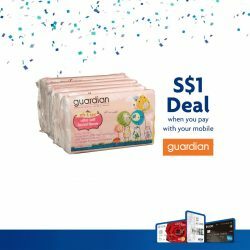 For just $1, you can snag yourself ultra-soft travel facial tissues (worth S$2.55) from Guardian, or $1 Sun Harvest Chunky/ Creamy Peanut Butter (worth S$5.30) from Cold Storage when you pay using UOB Cards on Apple Pay! 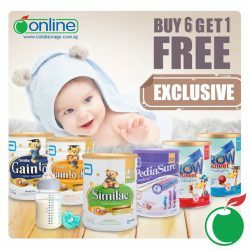 Valid till 15 July 2016, whilst stocks last. More details at uob.com.sg/applepay. Calling all parents! Save some GSS shopping energy for your little ones. 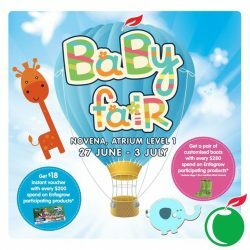 Don't miss out on our Baby Fair this 27 June - 3 July at Novena, Atrium Level 1! Stand to win goodies when you spend on participating Enfagrow products. See you there! 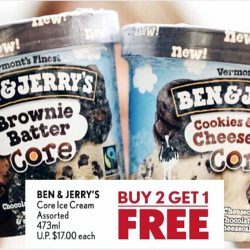 If you love Ben & Jerry's Ice Cream, dun miss this offer from Cold Storage to save 28%! 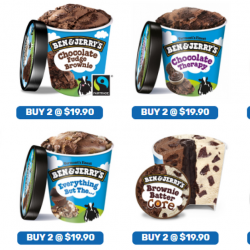 2 tubs of Ben & Jerry's is now going for $19.99 (UP: $27.98). 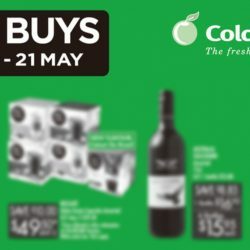 Also check out other offers on Nonya Egg Rolls, wine, Ferrero Rocher and more. Share this promotion with your friends now! Grocery shopping at Cold Storage made better this CNY with UOB Cards! 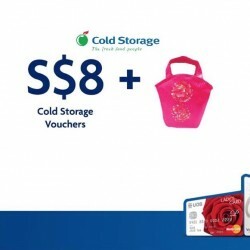 Get S$8 Cold Storage voucher with min. 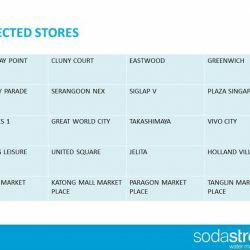 S$128 spend plus up to 2% SMART$ rebate. 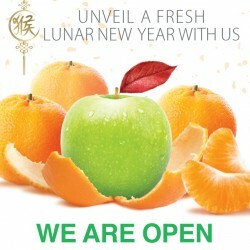 Moreover, Delight Cardmembers get S$8 Cold Storage voucher and a free premium mandarin orange bag with min. S$128 spend, up to 8% SMART$ rebate plus 10% off house brand items. T&Cs apply. 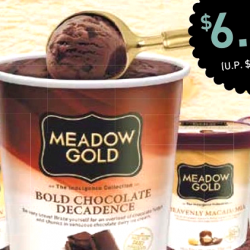 Valid till 28 Feb 2016, while stocks last at all Cold Storage stores. Minimum spend must be made in a single receipt. Check in-store for full details. If you suffer from dry skin or want fairer skin, try Nivea's body lotions! They are having a 3 Days Special where you can enjoy 35% off their range of body lotions. Promotion is available at Guardian, Watsons, Cold Storage, FairPrice and Giant till 27 September 2015. Cold Storage, together with Market Place and Jasons The Gourmet Grocer, has 61 stores islandwide. From air-flown fresh produce to niche grocery labels, and even products that cater especially to special dietary needs, the range of products is huge and they also stock many international brands. Their prices are not the lowest especially at Market Place and Jasons The Gourmet Grocer which are premium supermarkets that have a wide range of premium grade meat cuts, delicatessen, air-flown groceries, specially imported oils and vinegars as well as a charming collection of international wines.